Marvel's teenage super hero is swinging back into action with Spider-Man: Into The Spider-Verse! 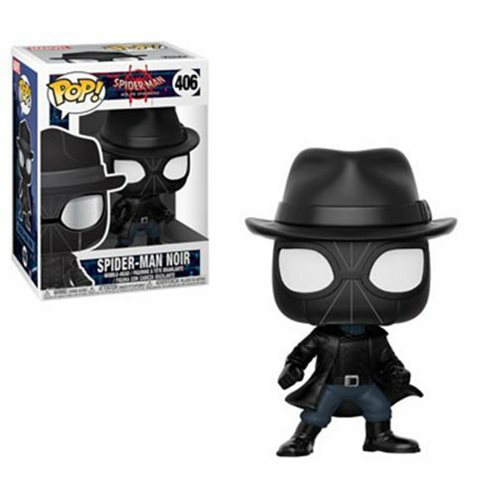 This Spider-Man: Into the Spider-Verse Spider-Man Noir Pop! Vinyl Figure #406 measures approximately 3 3/4-inches tall. Comes packaged in a window display box. Ages 3 and up.